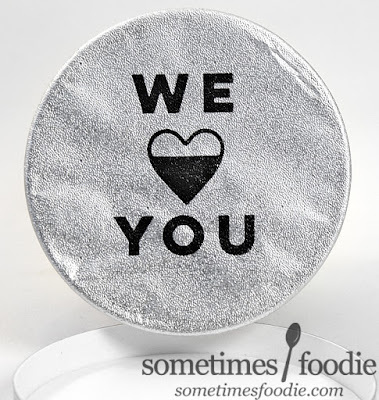 Sometimes Foodie: Who's House? Cool's Haus! Why did I stray from my tried and true Make Fudge Not War? Curiosity, but also an odd sense of familiarity. 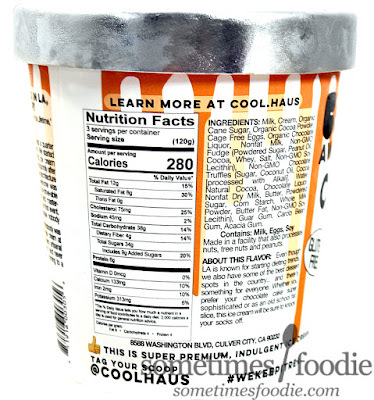 I've never had this brand before, but at my last job I designed weekly grocery store ads, and I used to edit images of this brand, Coolhaus, quite a bit to add to circulars. It sounded neat, and a little hipster-y, but I never saw it available in my area. Then, totally randomly, a few flavors showed up at Aldi and I figured it was a sign that I should give it a shot. The designs on the Coolhaus containers always looked a little messy and unfinished, but in a purposeful way. 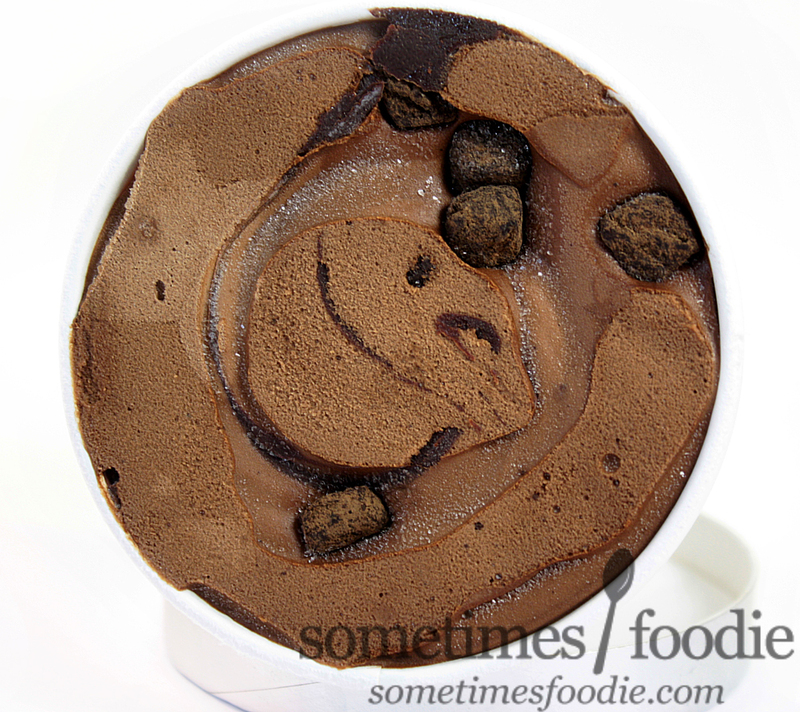 Kind of like a modern art take on ice cream pints. 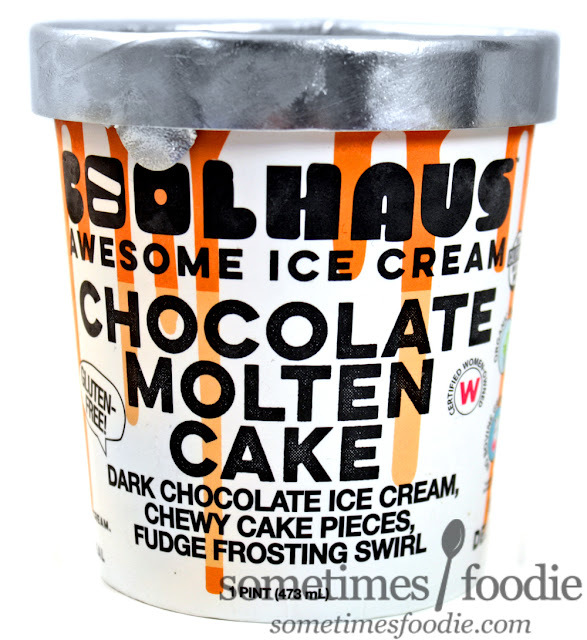 Originally I thought that the "haus" aspect of the name, similar to "Bauhaus" confirmed that this was the art-nerd ice cream brand I thought it was. I looked it up, and it kind of is, but it kind of isn't. Apparently these flavors are inspired by architecture? That's artsy, but not particularly what I had envisioned, and I don't really see what flavors like Molten Chocolate Cake have to do with architecture...am I missing something? Whatever the concept is behind the branding, the visuals come off as appealing in a haphazard street-art kind of way that would be cool to photograph in the right setting with the right backdrop, but against a plain what background you can see how empty and lacking the visual elements are. Under the lid is a foil safety seal with a cute positive message. It's cheesy, but it put a smile on my face. Immediately, this started brining up nostalgic memories of the Death By Chocolate ice cream I loved as a kid! 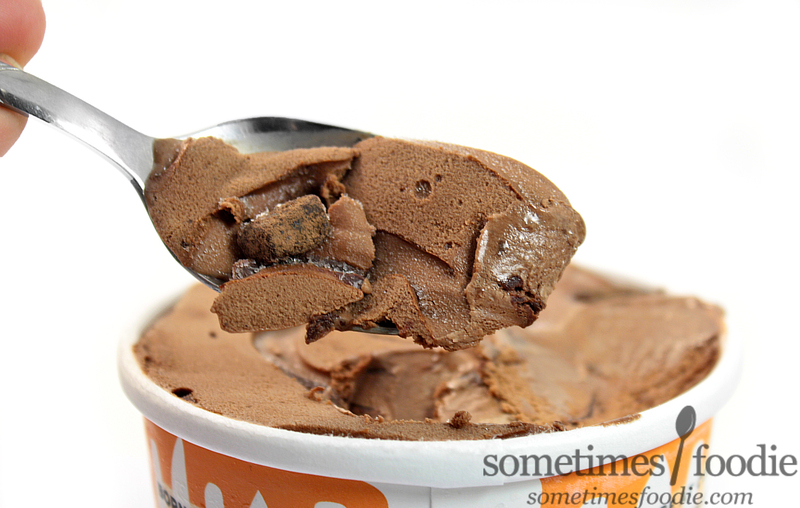 The dark chocolate base is much sweeter than most dark chocolate bars, but the overall flavoring is deeper and more complex than your usual chocolate ice cream, and at times it reminds me of cocoa powder, but in a good way. The base is fantastic, but the mix-ins? Not so much. The cake pieces were chewy, but I would hesitate to call them cake. They were chewy, yet, chalky at the same time? I have a hard time trying to describe their exact texture, but I think if I froze, and then thawed cosmic brownies, it might have a similar bizarre, and oddly dry, texture. Maybe a better way to put it is re-hydrated and then frozen astronaut ice cream? 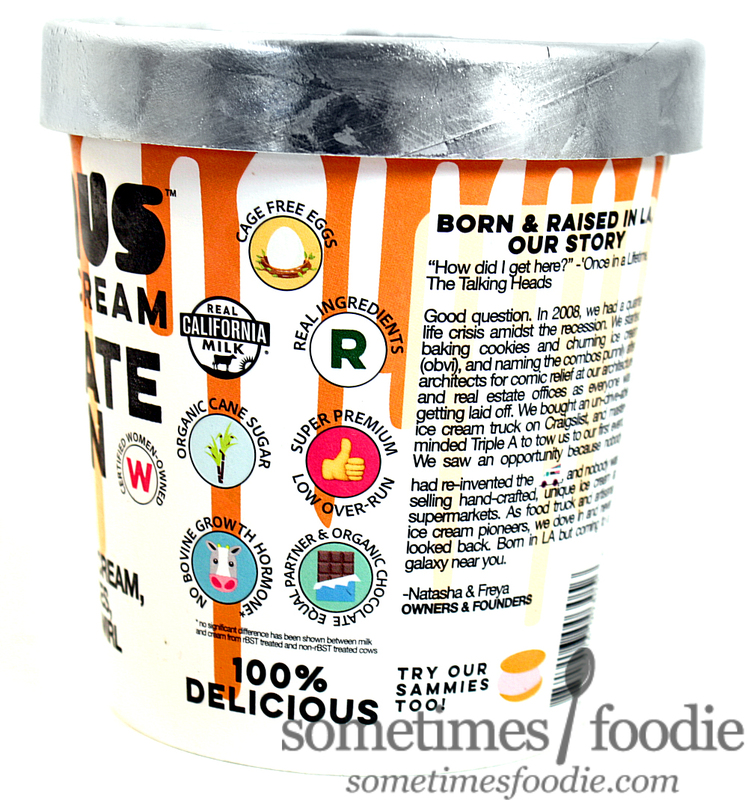 It's bizarre, but the flavoring is okay and there were a healthy amount of them throughout the pint. Then there is the fudge icing, which taste like frozen ribbons of Betty Crocker canned chocolate frosting. It's yummy, but in the B-list junkfood kind of way. Again, not to hate on cosmic brownies, but it's kind of like the icing from those. The ribbons were actually my favorite inclusion, but they were few and far between. I got a decent sized ribbon on the top, and another towards the bottom, but the middle was total devoid of fudgey goodness. Aldi's Make Fudge Not War is a superior pint, both in value, and in the quality of it's mix-ins. With Aldi's version being so affordable and readily available, I can't say that this particular flavor from this brand is worth it. (Even though the dark chocolate base is really enjoyable.) However, this isn't enough to turn me off of Coolhaus entirely. 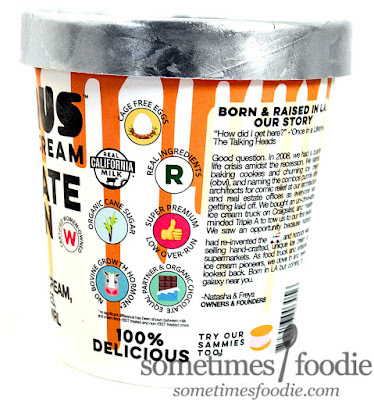 I grabbed another flavor that I'll be reviewing next week (that doesn't have an Aldi counter-part), and perhaps that'll be the pint to win me over.